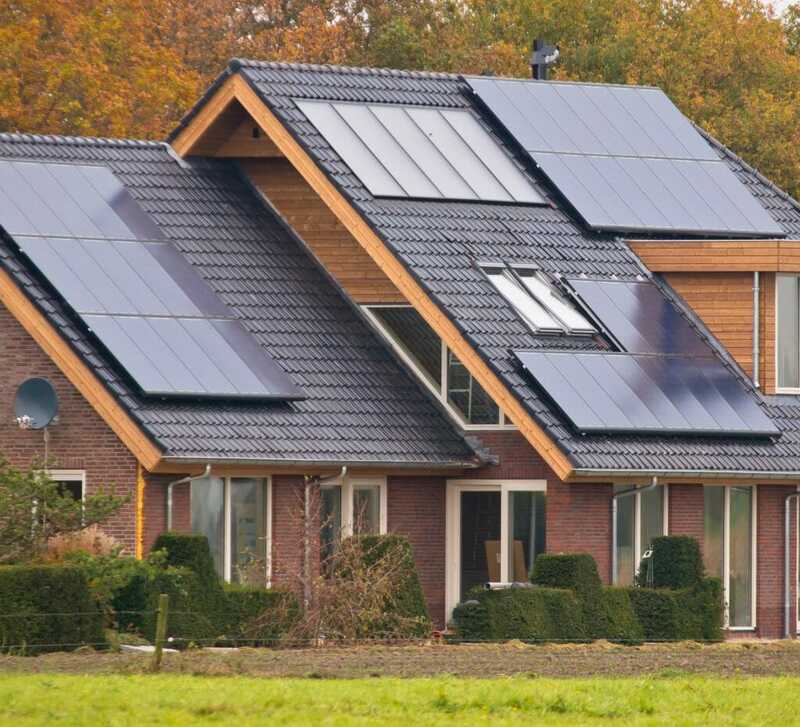 Solar panels, once something from the future, are now a common sight on homes across the country. They can help lower your home’s energy bill, or can help you get off the grid completely. In the most basic terms, solar panels generate electricity when particles of light, or photons, knock electrons free from atoms. This process is known as the photo-voltaic effect. Solar panels, like homes, can be customized to fit your needs, starting with solar cells. Below is an explanation of what solar panels are made of to help you understand how energy from the sun in converted into electricity for your home. Solar cells are the building blocks of solar panels. They are responsible for absorbing sunlight and turning it into heat or energy. Solar cells are grouped to form solar modules. Most modules use either wafer based crystalline silicon cells or thin-film cells with a base of either cadmium telluride or silicon. Generally, if the solar module uses thin-film cells, the module will be more flexible than other rigid solar modules. Silicon cells are the most common for several reasons. Their efficiency is in the 15%-25% range and silicon cells are considered reliable technology. Another benefit is the longevity of a silicon cell and its ability to withstand harsh conditions. When it comes time to replace a silicon cell, its parts are easier to recycle or dispose of responsibly. There is a downside with choosing silicon solar cells— the initial installation cost of solar cells can be enough to deter home and land owners from installing them. One silicon cell generates approximately 0.5 V each. Each cell generally measures 150 mm in diameter and 200 mm thick. Thin-Film cells are somewhat less expensive to produce than silicon cells, however they are not always as efficient as silicon cells. However, thin-film solar cell technology is still relatively new, so that may change as breakthroughs are made. 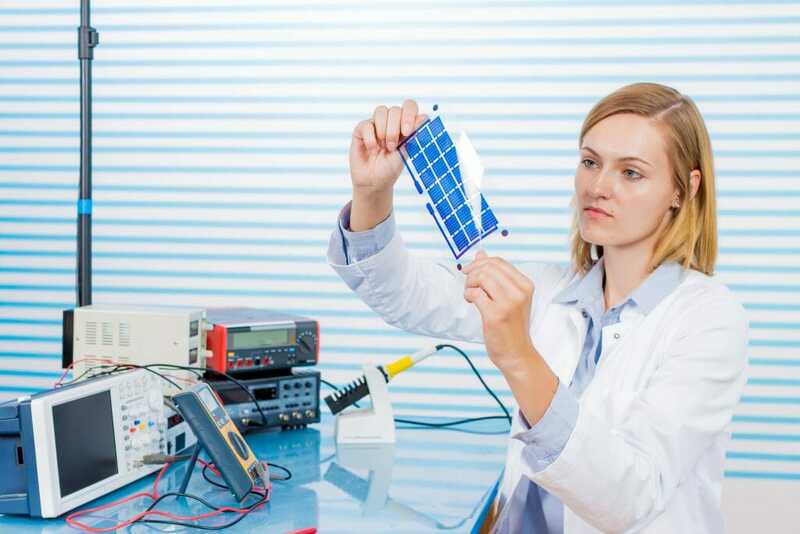 Depending on your budget, thin-film solar cells may be a wise choice. They are less expensive to install than their predecessors, despite the need for specialized contractors for the installation. Thin-film cells are more flexible because the semiconductor layers are generally comprised of telluride cadmium, instead of the more rigid silicon. They are significantly thinner, and measure up to one micron thick— or one millionth of a meter. Both silicon cells and thin-film cells are excellent choices for use on your home or land. Solar cells—either silicon or thin-film—are connected in a series to meet the desired energy output from the sun’s rays. A wire made of silver, copper or another type of non-magnetic conductive material connects the cells to one another. Typically, a solar module is made up of a 6×10 or 6×12 grid of solar cells. Some solar modules incorporate materials that scatter the sun’s rays across the cells, which allows for more photons to be absorbed—meaning more energy is converted into electricity. This is becoming more and more common, as technology improves, because it allows for solar modules to convert different spectrums of light. Meaning that over time, solar panel technology is becoming more efficient. Your goal for solar energy: Are you looking to reduce your carbon footprint and energy bill? Or are you wanting to live off-grid as much as possible? The quality of sunlight the panels will receive. 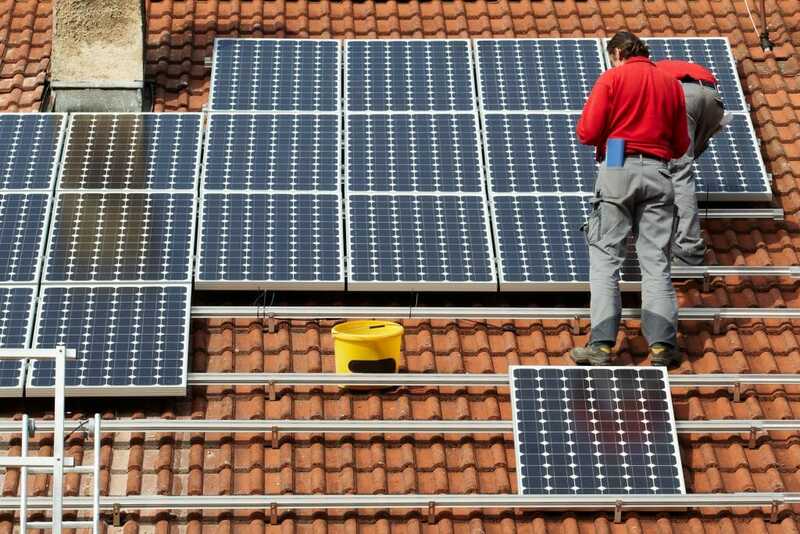 It may be necessary to install more solar panels in order to reduce energy costs if the panels don’t receive direct sunlight. If this is the case, don’t despair. Talk to a solar panel contractor about your options, as there are solar panels for nearly any location and climate.